World Sailing Offshore World Championship, nuevo evento a partir de 2019. Announced at World Sailing’s 2017 Annual Conference in Puerto Vallarta, Mexico the World Sailing Offshore World Championship will be a powerful platform to accelerate the interest and growth of offshore one-design sailing amongst the sailing community. Kim Andersen, World Sailing President commented, “World Sailing’s Offshore World Championship objective is to create a pinnacle endurance competition to be pursued by the best sailors from all nations of the world. “A mixture of 30 mile and 90 mile coastal races combined with a three day / two-night offshore race will ensure the Championship tests the competitors drives awareness of offshore sailing and accommodates commercial partners and spectators. World Sailing is inviting EMP’s capable of delivering a high-quality event in partnership with World Sailing that generates value for both parties. All bids must be received by World Sailing by 17:00 UTC on Friday 18 May 2018. Further questions will be sent to bidders from 21-25 May and there may be a requirement for presentations of bids at World Sailing’s Executive Office in London, Great Britain. A final decision by World Sailing’s Board of Directors will be made on 4 June 2018. 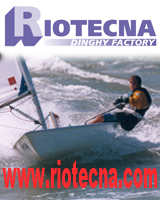 In order to provide World Sailing’s Member National Authorities with access to a small fleet of boats for training, the Equipment Supplier will also be expected to work with World Sailing and the EMP to facilitate the establishment of a European based training academy with five boats minimum available the charter. Click here for the Request for Proposal of Equipment for the 2019 – 2024 World Sailing Offshore World Championship document.